A heated pool. Tennis court. Dance barn. 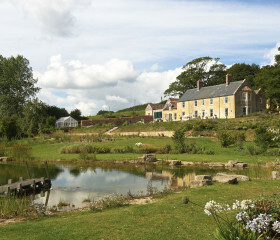 20 acres of gardens with fantastic views. 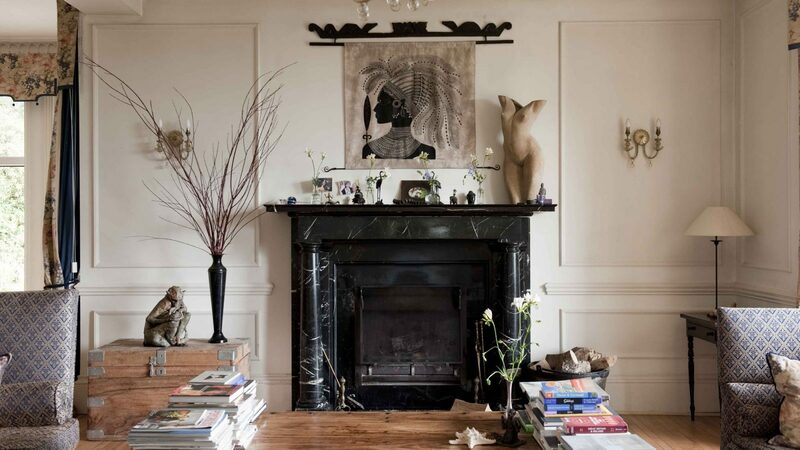 If you love a palatial party, you’ll love The Rectory. 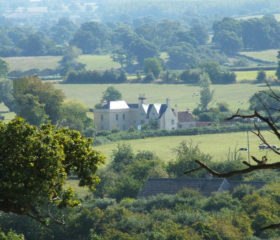 If you love peace and quiet, you’ll also love The Rectory. 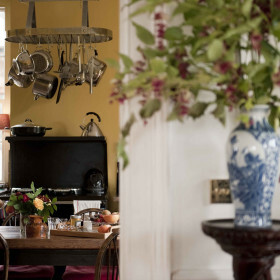 This stylish North Devon home for 24 guests is all things to everyone. 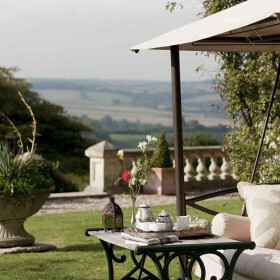 The Rectory is 20 acres of landscaped gardens and pastures, with stunning views over the rolling hills of Devon. 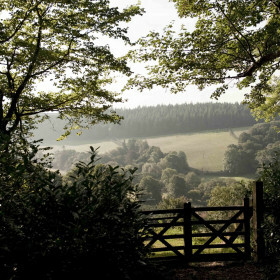 Just a short drive from the beaches of Saunton Sands and Croyde. 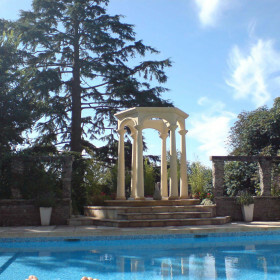 It’s an entertainment haven, with heated pool, tennis court, full-sized snooker table, treehouse and games rooms. And it’s a party venue, with Dance Barn and lawns that demand a marquee. Be together around the 24-seater dining table, in the TV room or in the solar-heated outdoor saltwater pool. 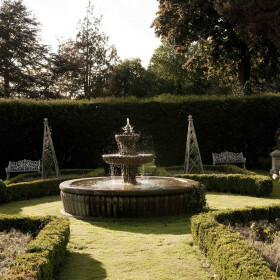 Be apart, in the tiered gardens, the Victorian grotto draped with jasmine, or in the sauna. Or just be yourself. 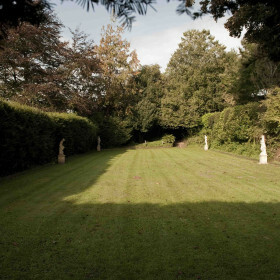 From the rear of the house, the patio opens up onto a large lawn, which lends itself perfectly to garden parties. 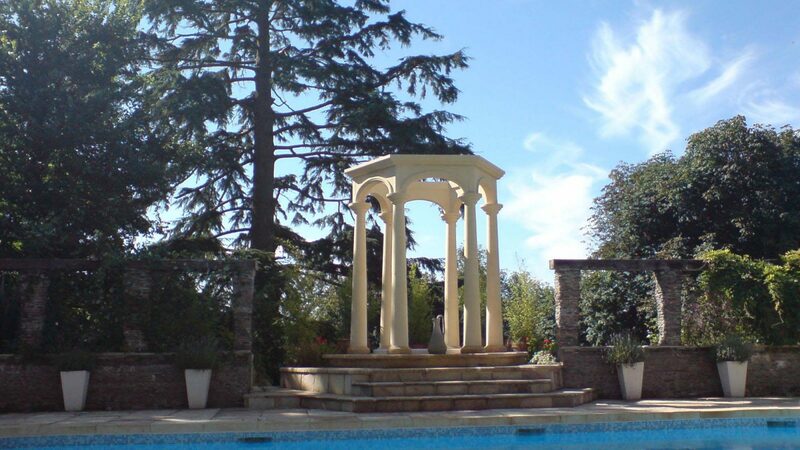 From the tiered gardens, with views of pastures and countryside rolling into the distance, step down the split stairway into the lavender gardens and discover, tucked away under the stone stairs, the Grade II listed Victorian grotto, which is licensed for weddings. 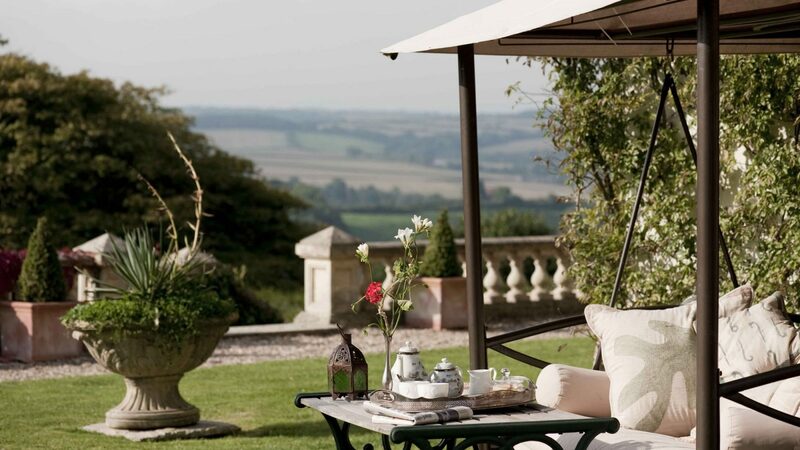 Over its arches hang draped Jasmine, Clematis and Ivy, and the sound of running water from the fountain, softly echoing in the grotto, is set beautifully against the backdrop of the lavender gardens and Devonshire countryside. 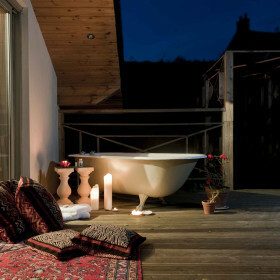 Tucked through a trestle laurel archway, a balcony opens up leading to the poolside, with the sauna discreetly hidden away under the balcony. The pool area allows guests to relax in seclusion along with a large solar-panelled salt water swimming pool and an iconic open air bath. The pool house has been designed to capture the last of the evening sun. 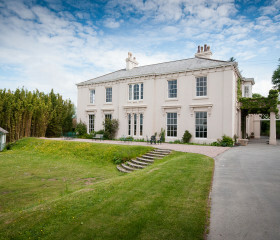 The Rectory has fantastic facilities to entertain you and your guests for a weekend or week. 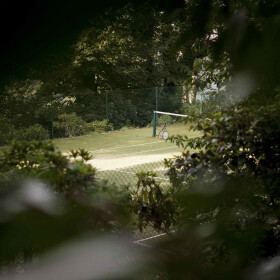 You can enjoy a game on the all-weather tennis court. Racquets, balls and a ball machine are available. Supporters can sit on the sunny terrace watching the players enjoy the championship size artificial grass court. 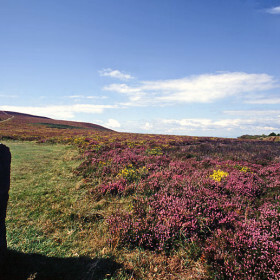 The whole area is surrounded by fabulous rhododendron bushes, beeches and elms. 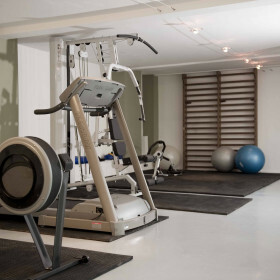 The gym is equipped with running machines, rowing machine, medicine balls, gym mats and free weights. The gym is set apart from the main house and is filled with natural light from a long glass wall, looking out over the courtyard. 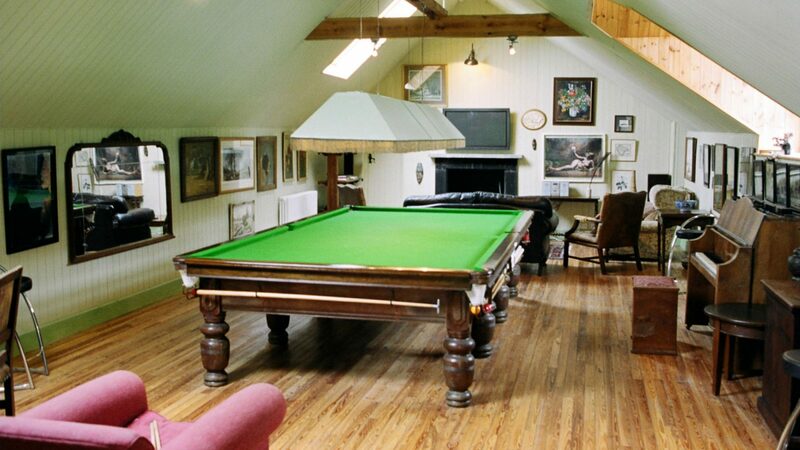 The Rectory has a full sized snooker table along with a table tennis table. With big fat sofas to sink into and a big screen TV, with Sky Sports, the snooker room is the height of comfort. 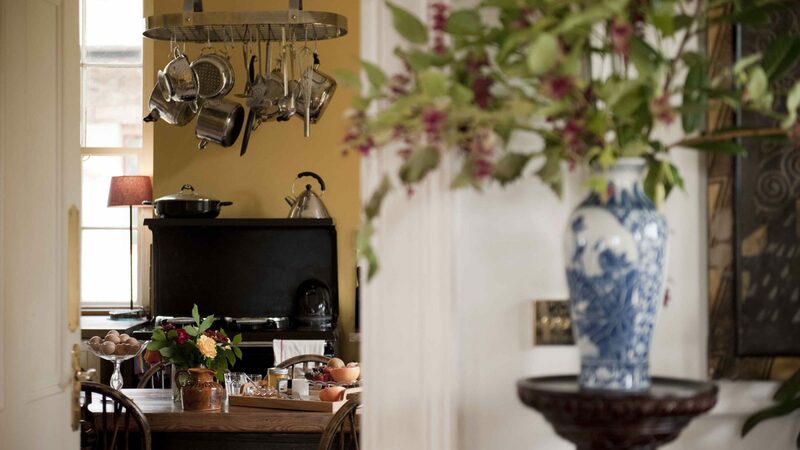 The Rectory has big spaces for guests to relax and dine together, furnished in a contemporary style, with an eclectic collection of art and sculpture. 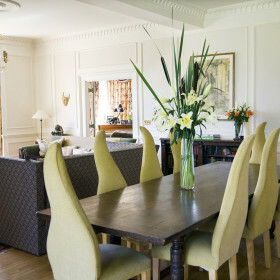 The hallway leads onto the open-plan lounge and dining room with seating up to 24 guests. There is a separate TV room with large TV. 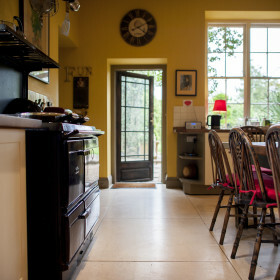 The well equipped kitchen has an AGA and breakfast table for up to 8 guests. 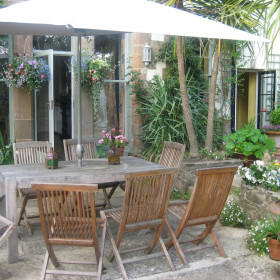 There is a second caterers kitchen with large gas oven and microwave, also a separate laundry room and a downstairs WC. 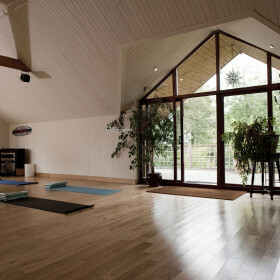 The Dance Barn in the gardens of the house has a large yoga/dance studio, and a big games room with full sized snooker table. There is also a table tennis table available. 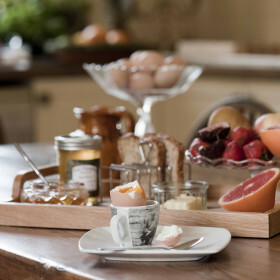 We want you to enjoy every moment of your stay at The Rectory so whatever your desire for food and drink, we can help. 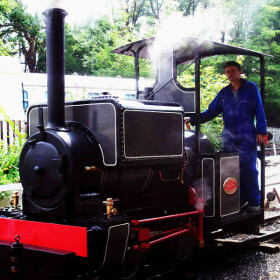 If you love cooking then help yourselves to the Aga and range cooker. 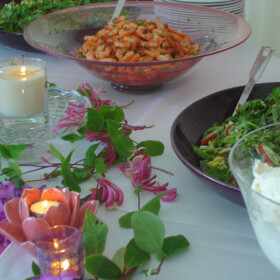 Alternatively, if you’d like a little or a lot of help then we offer everything from casseroles dropped off ready for the oven to waitress-served in-house catering. Or sample fine cuisine at a local gastro-pub. 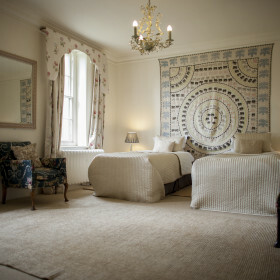 The Rectory’s stylish boutique rooms are unique and very peaceful. 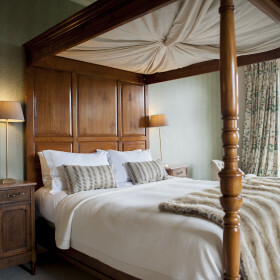 Rooms are mainly king and queen sized beds, with some featuring double and four poster beds, with creature comforts, including a flat screen TV and DVD player. 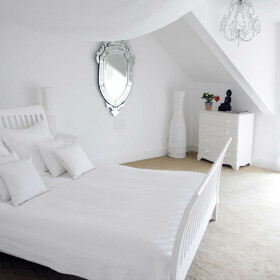 The rooms boast comfortable beds with organic cotton sheets, fluffy white towels and lush organic homemade soaps. 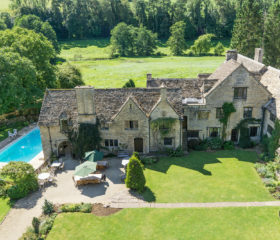 Each room has either a power shower or an exquisite, invitingly deep bath (one of which is an antique double sized bath tub once owned by the Kennedy clan). 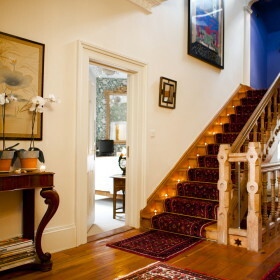 The house has twelve bedrooms. 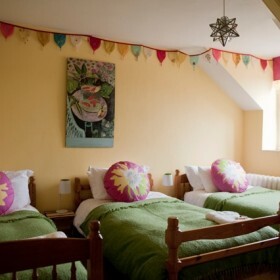 There are four bedrooms on the first floor and four further bedrooms on the top floor, one of which has three single beds and room for a further guest bed. 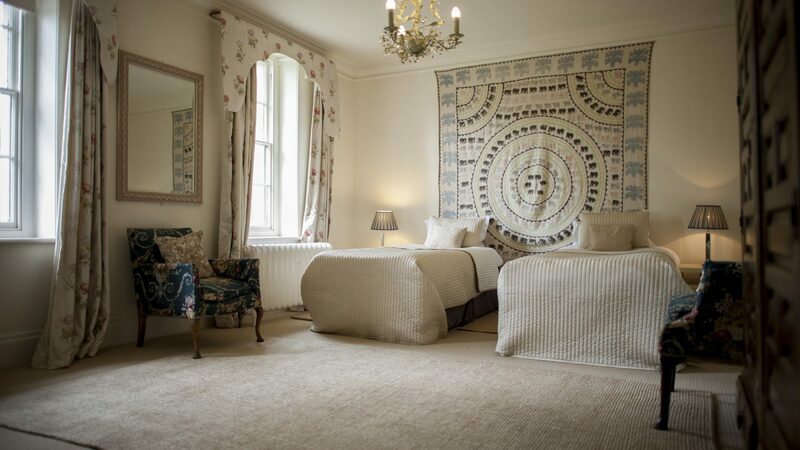 In the walled garden is the Studio, with a downstairs ensuite bedroom and an upstairs bedroom with ensuite and balcony complete with roll top bath. 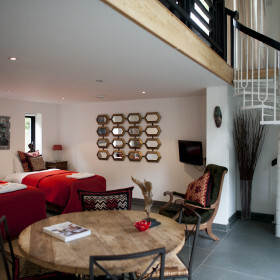 There are two further bedrooms set in the grounds, one adjacent to the Dance Studio and one in the Cobbled Room. 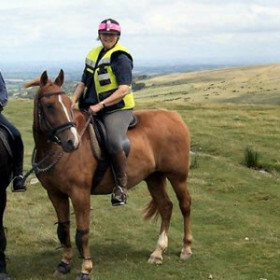 Pedal, ride or walk Dartmoor and Exmoor. 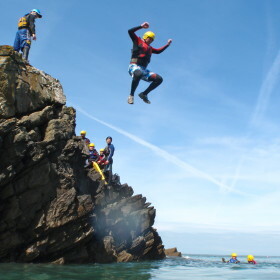 Try quad biking, let the kids Go Ape!, go underground (with a hard hat), or go for gliding, fishing, climbing, ambling and rambling. Or just pottering and pubbing.